For those of you who were not able to join us, please take a moment to watch the latest openings of the Courage to Remember below. Take a moment to click on each certificate below to view the prominent institutions across the country who have recognized SNCF, The Simon Wiesenthal Center's Museum of Tolerance, and the Foundation for California in our efforts to support Holocaust education, tribute and remembrance. "This presents a great opportunity for the residents of Orange County to learn about man's capacity for evil and what we must do to prevent a repeat of these crimes. It is clear that people of all faiths, backgrounds and ages can learn from this exhibit." "The Courage to Remember" exhibit shares the history of the Shoah. The historical teachings of this educational tool are universal and resonate with the people of all traditions, ages and backgrounds. I encourage organizations large and small throughout Florida to host this powerful exhibit so that as many people as possible can learn from its contents. 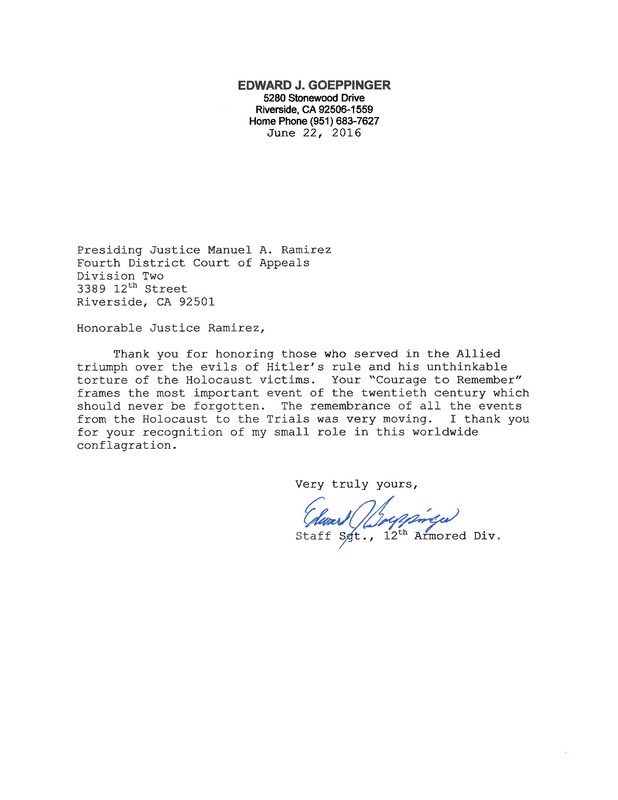 Thank you again to the Simon Wiesenthal Center, the Jewish Federation of Brevard and the Foundation for California for your efforts with this project and I commend SNCF for its principled stance of confronting its history in the Shoah and generously sponsoring this world-renowned exhibit." Our students and faculty who viewed this exhibit took away a great deal from its contents, however difficult it was to view the brutality and suffering conveyed in the various images. It is vital that our society’s young learn what happened during this most awful of periods, and this learning tool is valuable to this end. We thank SNCF for acknowledging its role during World War II and for their generous sponsorship of “The Courage To Remember”. We also thank the Simon Wiesenthal Center, the Jewish Federation of Brevard and the Foundation For California for facilitating its display in our community. "Making Holocaust education programs available to the greater community free of charge is a mitzvah, and I thank the team that worked together on this project, namely, the Simon Wiesenthal Center, SNCF, the Jewish Federation of Brevard and the Foundation for California." "Six decades after the Holocaust, few Survivors and Liberators are still with us at this time. Now, more than ever, we must educate the young about what happened and double down on our commitment to battle hate in today's society and the ideologies that justified the Nazi's atrocities." "Over the course of seven days, 1558 persons in our community attended the exhibition. Nearly half of those who attended were students, ages 11-18, who came from eight schools and synagogues in Palm Beach and Broward Counties." "On behalf of the City of Pomona, we hereby express our gratitude as without your efforts this exhibition would not have been able to touch the hearts of so many people." 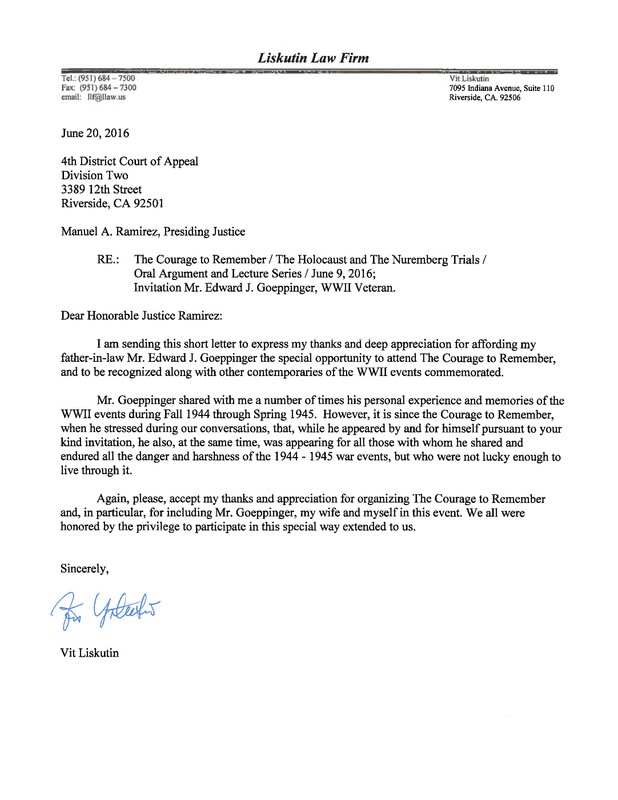 "I want to thank your organization once again for its dedication to educating the public and commitment to ensuring the voices of the victims from the Holocaust are heard. 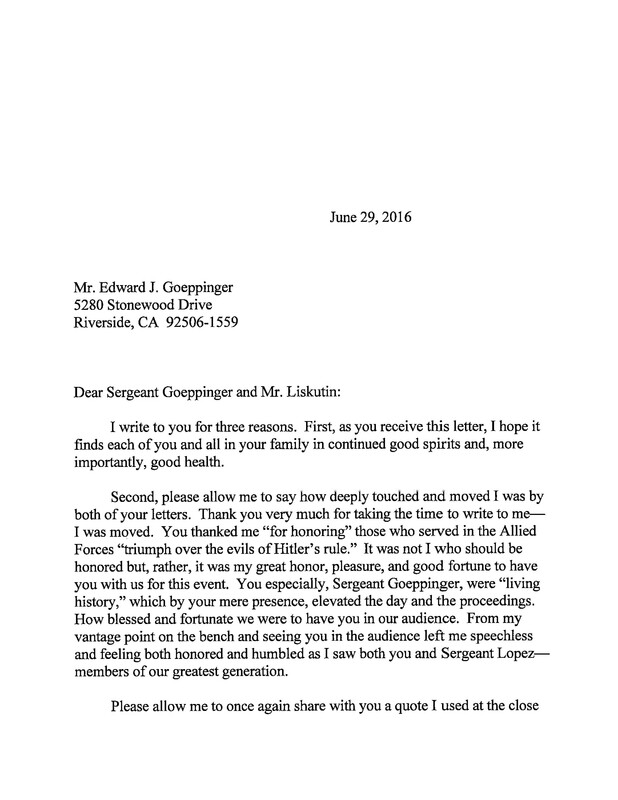 I look forward to hearing of the good work your organization continues to do." "… I honor the dedication of your organizations in making this exhibit a reality and available to the public. As should always be said, 'Never Again." “It may have been more than 75 years since the Holocaust, but violence motivated by race and ethnic background make up more than half of all hate crimes in Florida, and more than 65 percent of anti-religious hate crimes are against Jews, vastly more than any other religious group. Linda Medvin, Chair of the Florida Department of Education Commissioner's Task Force on Holocaust Education. "… I want to thank the Museum of Tolerance, Sac State University, the Foundation and especially to the Société Nationale des Chemins de fer Français SNCF in France for making this commitment so far away from France, obviously a very meaningful exhibit for you ..There is a movie out now right now along these same lines called Sarah's Key, I do not know if there is sort of a reawakening in France, I know I have been back to the Shoah Memorial back there and I am glad to see the Holocaust is being remembered in France as it is in other parts of the world." "The exhibit offered students, faculty and visitors to the university the opportunity to solemnly reflect on the lives lost and those who endured great suffering during this tragedy. During our opening reception and afternoon sessions, speakers addressed the importance of learning from the past so as not to repeat its mistakes and moving forward with grace toward healing." 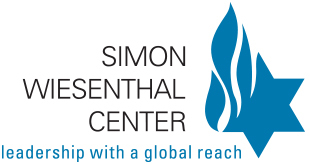 Simon Wiesenthal 1908-2005, In November 1977, the Simon Wiesenthal Center was founded. MOT stands for Museum of Tolerance, the only museum of its kind in the world. Brought to you by the Foundation for California made possible by a grant from SNCF. Click Here to Visit the Foundation for California. The genesis of the MOT - the first of its kind in the world-came from the leadership of the Simon Wiesenthal Center. Copyright 2019 © Foundation for California, Inc. All rights reserved.